Being my first time baking with molasses, I got worried when I opened the bottle and poured the syrup like liquid into the measuring cup. I’m talking about the smell. My grandma claims to love the smell of molasses, but I must disagree and admit I was slightly concerned for the future gingerbread boys and girls! Luckily, molasses tastes better than it smells, especially when combined with sugar, cinnamon and ginger. Phew! 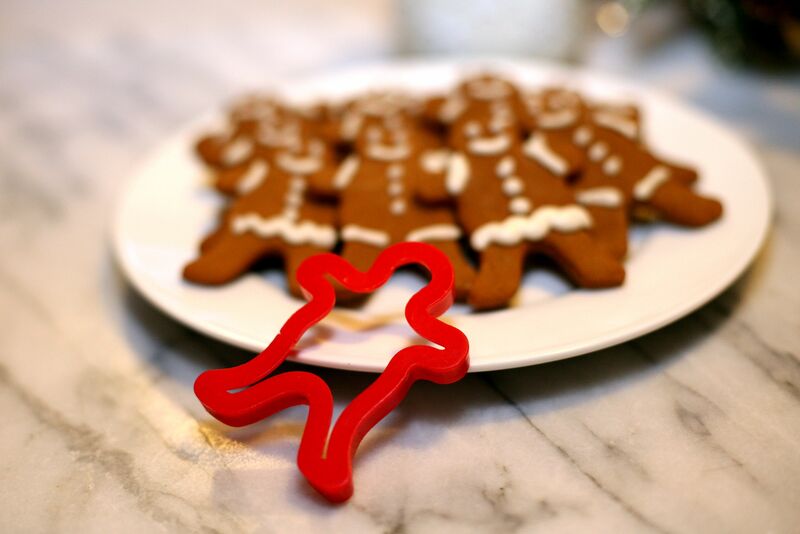 The little red cookie cutter is my favorite part of this baking story. If you’ve read more than two of my posts, you probably know my love for all things with hidden meaning. The gingerbread cookie cutter is from a baking set my Mom had as a little kid. My grandma has tried others over the years, but always came back to this one – even with his one cracked leg. The cookie cutter worked like a charm for me and has officially moved into my kitchen drawer which must mean I passed the test and got the gingerbread baking job for Christmases to come. On that note, I have to get back to our annual Christmas baking day. I brought my frozen gingerbread cookies and my grandma already had butterballs, buckeyes (my husband’s absolute favorite), stars and jam thumbprints made. I went up a little early this time so we had some one on one time Friday and I learned how to fill, roll and bake date pinwheels. I have this recipe framed in my kitchen so it was nice to learn the process firsthand this year. If that sentence left you wondering, I saw an idea on Pinterest (where else?) to frame a handwritten family recipe and loved the idea of making it part of my kitchen decor. I’d still like to get one from my other grandma who is famous for her homemade noodles and deviled eggs. 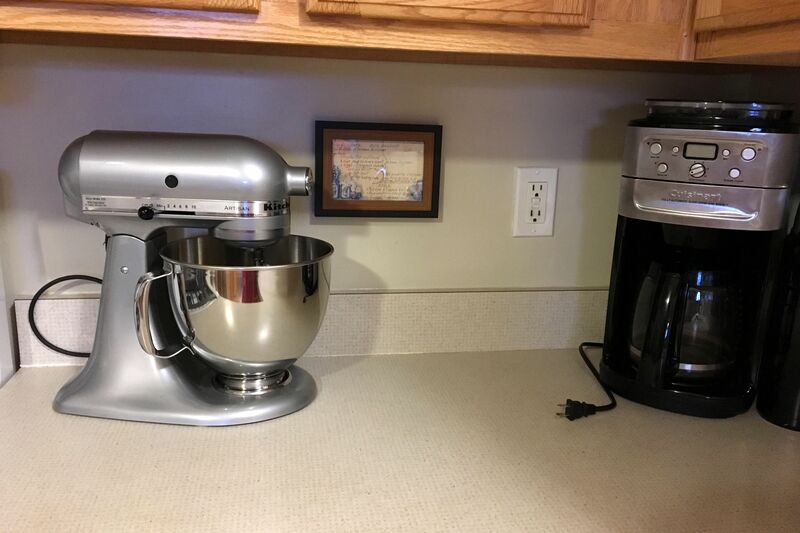 These are the type of items that make a house a home. On Saturday, we (myself, my Mom and my brother’s girlfriend) arrived at my grandma’s early and spent basically the whole day in the kitchen. We made cut-outs, gingersnaps, graham cracker cookies, caramels and Oreo truffles. It was like a busy bakery with cookies everywhere you looked! My dad and brother even joined the fun this year; between that and the usual company at the house it was another mini family reunion similar to the day we canned salsa in the summer! This baking day comes and goes so fast every year, but I’m feeling quite blessed that it’s a day we have together each December. 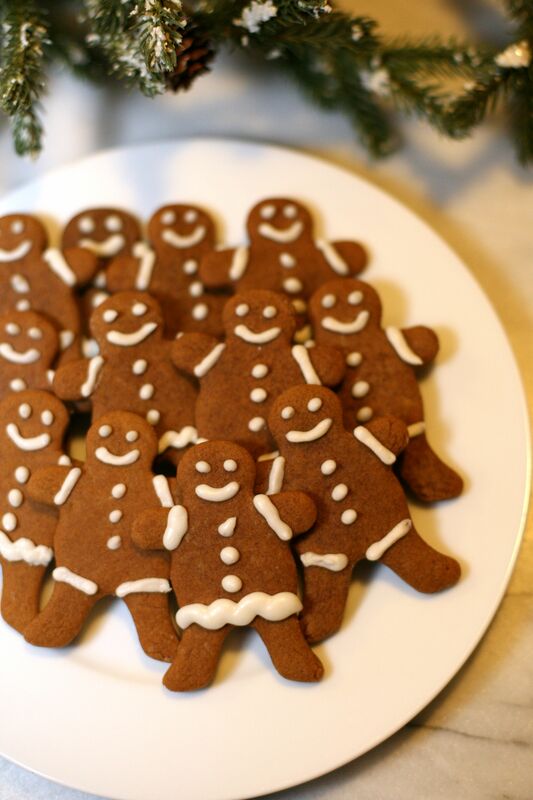 Now, if you’re going to bake these gingerbread cookies be sure to set aside a few hours of your day. The prep work will take some time, but the batch size you bake will play a big role in how many hours you spend in the kitchen covered in flour. Just me? Don’t forget your apron! If you follow the recipe below exactly, you will have nine dozen cookies!! Most people may be satisfied with making slightly less than that 🙂 Your time consuming steps will be rolling out the dough, cutting out each cookie and decorating at the end. The actual baking of the cookies is quick and before we jump to the recipe I have to stress to watch them closely, because if they burn they may be a bit ‘brick like’. I only baked each tray for five minutes and they came out perfectly soft! Recipe’s below. Happy baking!! **These cookies freeze exceptionally well. If you decide to freeze yours, separate each layer with wax or parchment paper and cover the top layer of cookies as well. This is a great option for getting all of your cookies baked ahead of time and just having to get them out of the freezer throughout the holiday season to make cookie plates! Thanks! 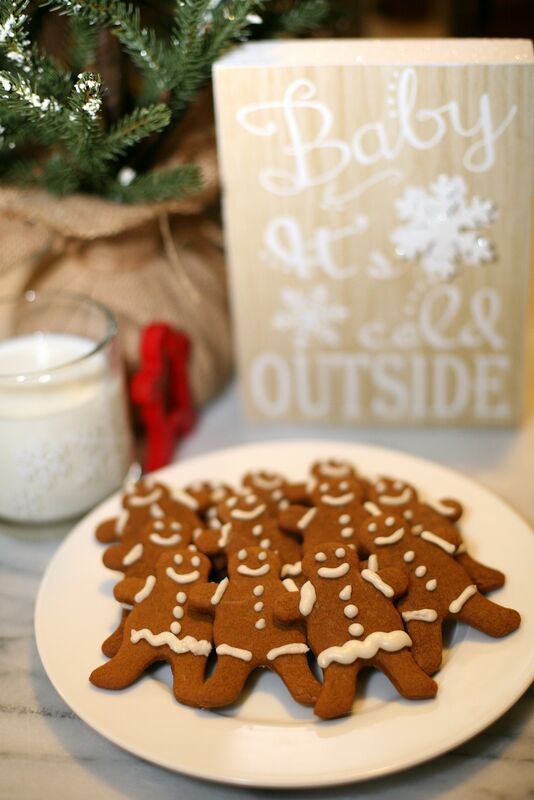 Our baking day always feels like the kick off to the Christmas season! Happy holidays! !